Pitched between infectiously melancholic indie-pop and angular, post-punk inflected stomps, Foundlings are: Amber, Bry, Matty and Ol. 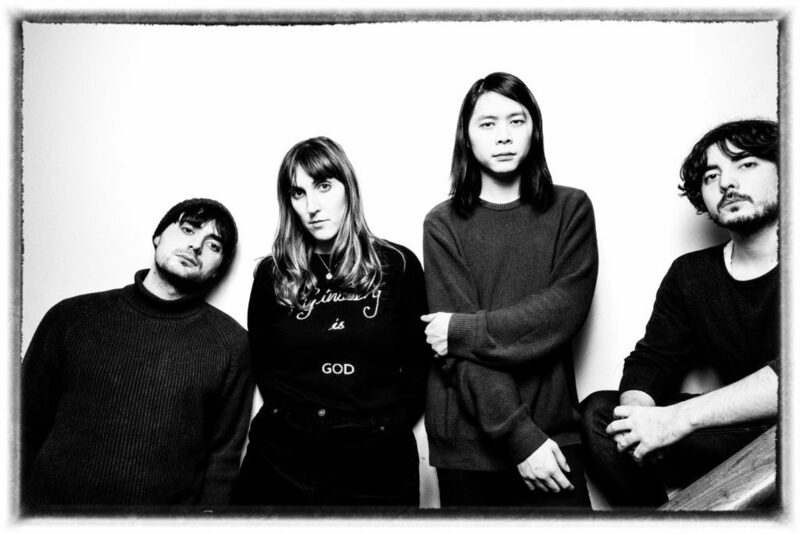 The band first piled into the rehearsal room in October 2017, drawn together by a desire to write, record and perform music that stands up alongside that of the artists who inspire the group (Echo and the Bunnymen, Siouxsie, Teenage Fanclub, The Fall, Joy Division, The Pretenders, Kirsty MacColl, Parquet Courts, Courtney Barnett, Haley Bonar and Alvvays, to name a few). After several months of rehearsals, the band ventured north to deliver the newly written set of songs to their first audience – Band on the Wall, Manchester, 26th January 2018. After a series of well-received shows in the band’s joint hometowns of Brighton and South East London, Foundlings released their debut single, ‘Misery’. Released in March 2018, the track was selected by Tom Robinson for his 6 Music BBC Introducing show, championed by Steve Lamacq and selected for his 6 Music Recommends Playlist (Lamacq described ‘Misery’ as “Breathless indie-pop”). July 2018 saw the band embark on their first UK tour, with dates in London, Brighton, Manchester, Sheffield and Glasgow. 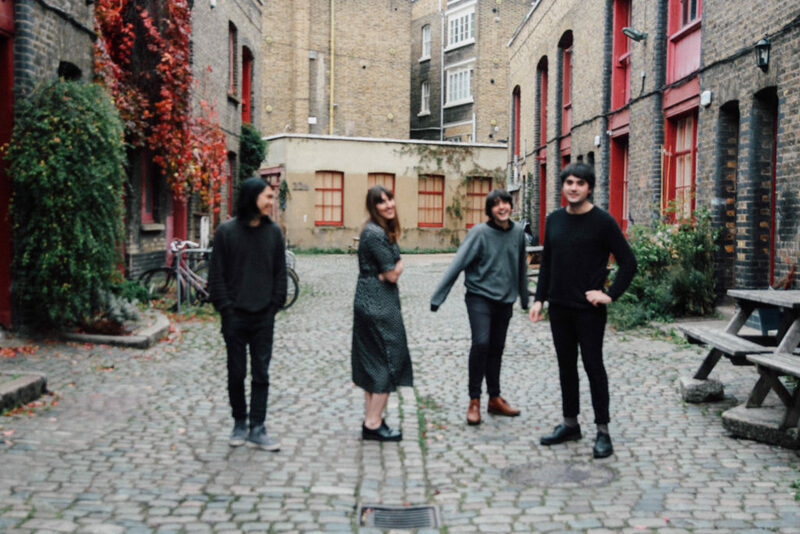 Whilst Foundlings relished the opportunity to reach new audiences across the UK, the tour also marked a turning point for the band: over the course of the trip, Foundlings had begun to develop their own distinctive sound and grew into a tight-knit outfit, with a renewed sense of enthusiasm and drive. Following the tour, Foundlings headed straight back into the studio to record the follow-up to their debut release. The result of these sessions was ‘Horizon’. The track was quickly picked up by BBC Introducing The South’s Melita Dennett who gave the track its first airplay on 6Music’s BBC Introducing show and was described by music blog The Devil Has The Best Tuna as, “As if Fleetwood Mac had been signed to Sarah Records.” ‘Horizon’ pricked the ears of Last Night From Glasgow. The band felt an immediate kinship with the label and, after amicable discussions, the deal was done: Foundlings joined the LNFG family and became their first signing south of the border. Taking to the studio once more in December 2018, the band began work on their debut EP. Released in March 2019 and well received by fans, blogs and DJs it displays Foundlings’ ability to deftly shift between styles and incorporate the wide-ranging influences of the band, whilst creating a sound all of their own. Various Small Flames website said in their review “…juxtaposition is intrinsic to the Foundlings sound, be it the interplay between light and dark, retro and fresh or hipness and sincerity, and makes for an engaging and compelling aesthetic.”. The band played their biggest shows to date in March 2019 with EP launches at a sold-out Sebright Arms, London (02.03.19) and a packed Stereo, Glasgow (16.03.19) providing a strong start to an inevitably exciting year. They have a European tour in the works, more festival dates (following playing Hastings’ Fat Tuesday Festival) and more UK dates currently being finalised. The EP is now available to buy here on CD.